Many investors have access to 401k plans, and there are myriad ways to approach socking away tax-exempt cash for retirement. Younger workers have the luxury of taking on more risk, while those nearing retirement age are more conservative. Regardless of your age, there are several common 401k mistakes to avoid. The good news is these mistakes can be avoided with minimal effort. Some of the most common mistakes are tax-related errors. The IRS can help with that as it features a wide array of 401k investing tax mistakes and guides on how to fix those errors. Say you work for a public company. There’s a good chance that your employer allows staffers to purchase company shares in retirement plans — maybe even at a discount. Unfortunately, history is littered with examples of employees being too heavily exposed to their employer’s stock only to be burned by negative corporate events. Enron is one of the most glaring examples. More recently, General Electric Company (NYSE: GE) has generated some negative attention regarding employee ownership of its flailing shares. The lesson from Enron, General Electric and others is simple: No matter how long an employee has been at a company or how devoted he or she is to that firm, it is unwise to put too many 401k eggs — or shares — in the employer’s basket. 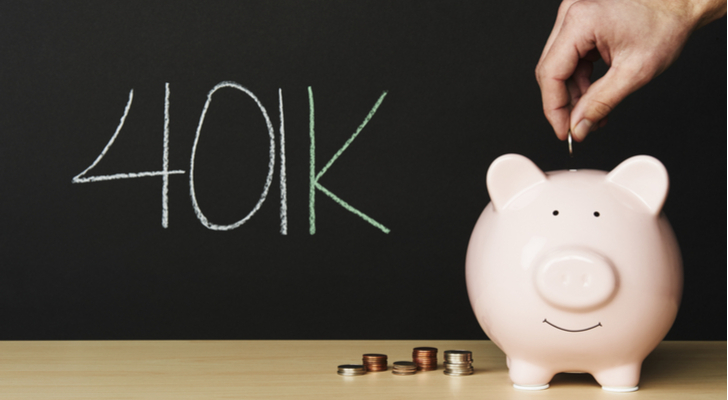 One of the most common 401k mistakes is forgetting to rollover the plan when leaving for a new job or not rolling it into an individual retirement account (IRA) when retiring from a company. There are some ways to deal with the rollover process. If you’re changing jobs, simply roll into the new employer’s plan or stay in the old workplace plan, but no new contributions can be made under the latter scenario. “If allowed, this option lets you consolidate your 401(k)s into one account while continuing tax-deferred growth potential. Investment options vary by plan,” according to Fidelity. This is one of the easiest 401k mistakes to fix. Many employer-sponsored retirement plans feature exposure to low-cost index funds. Unfortunately, some don’t. Either way, investors should make every effort to evaluate fund fees on the offerings in their 401k plans because when investing for the long haul, fees really do take on added importance. While investors are increasingly drawn to low fee funds, including exchange traded funds (ETFs), they are not major parts of the 401k landscape yet. Some studies suggest investors need some prodding when it comes to considering the funds with the lowest fees in respective asset classes. A recent study by Morningstar and the University of Chicago presented investors with choices of three S&P 500 ETFs with fees ranging from 0.04% to 0.40%. “The optimal financial choice with these options would naturally be — no surprise here — to invest all of one’s money in the cheapest fund. But that did not happen. Instead, only 42% of the funds went to the cheapest option; 31% to the ETF priced in the middle, and 27% to the most expensive ETF,” said Morningstar. While this is not the most common 401k mistake, some workers with high-risk tolerances may be tempted to treat their 401k plans as trading vehicles. In reality, 401k plans are not built for a trading lifestyle, but some workers tempt fate on this front anyway. The reason this is a big for 401k investing mistake is two-fold. First, let’s assume your job is not directly tied to financial markets. That increases the likelihood your real job will pull you away from important, market-moving trades, meaning the chances of 401k investing mistakes increases. Second, the more trading an employer does within his or her retirement, the more transaction costs add up, eating away at total returns in the process. Article printed from InvestorPlace Media, https://investorplace.com/2018/07/common-401k-mistakes-how-you-can-avoid-them-invtlk/.